Received a copy of this title in exchange for a honest review. It was captivating and yet I felt that (Likely because it is a series) the story was a bit confusing and that the information leading up to the discovery that she was a Cerulean was a bit slow. I think these feelings are because this is the first book in the series and we are just discovering who Scarlett is. 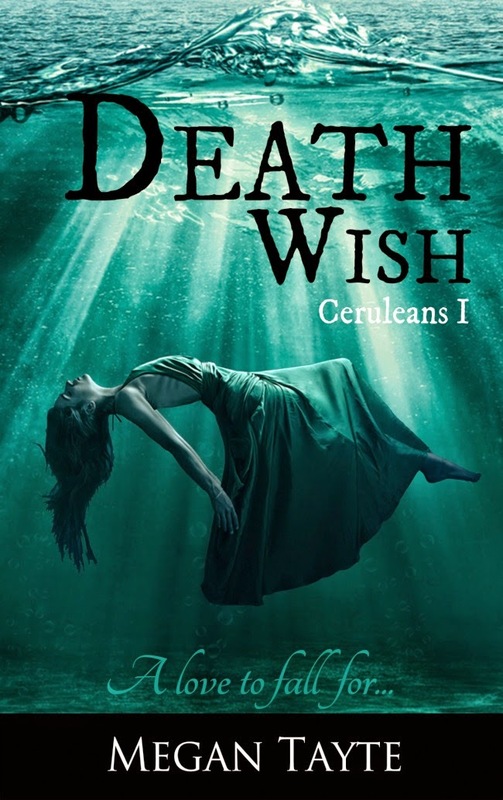 To the book...humm...well we start with Scarlett Blake in the water trying to die...okay not really she was trying to surf with no experience as a way to console herself over what was believed to be her sisters suicide. Only she gets saved by our hero Luke Cavendish. Then enters a strange boy named Jude. Who seems to be torturing a rabbit...in a graveyard? This guy would have had me running away at every opportunity but she seems to be attracted to him at first. She does however choose Luke and they are good together. One of those couples who just get each other without a lot of work or effort. Another thing that bothered me about this book was the way the author sometimes seemed to lose something...not sure what but when Scarlett remembers things it's like thoughts are thrown at the reader in an odd way at times...for me this broke the story a bit. Yet, I still liked the book...oddly. I found it interesting and the romance scenes between her and Luke were sweet and heartbreaking all at the same time...They both have had a lot of pain in their lives and that was what made the scenes between them sad and romantic at the same time. Now on to the weird...she helps a deer pass on and heals a boy and then tries to heal a dying man and lastly actually heals Luke but almost dies in the process and in walks Jude (the mystery that surrounds him left me a bit confused.) She discovers from Jude that she is an Angel or a Cerulean who could heal with a light that comes from her hands. The odd boy that she met in a graveyard of all places tells her she is dying and that she will chose death because of her (still alive? but dead) sister...huh not sure where this is going.